#DefendtheDen with your fellow Orlando City Soccer fans! A new tradition begins in Orlando. Four teams compete at Orlando City Stadium as they complete their preparations for the 2019 MLS Regular Season. Orlando City Season Ticket Members will receive complimentary tickets by making a donation of a minimum of $5 to the Orlando City Foundation, benefitting youth soccer and nutritional programs in the community. Season Ticket Members can claim tickets by logging into their Account Manager, and clicking on the OC Invitational link at the top of the page. Once completed, you will receive the same number of tickets for each Invitational match corresponding with the number of season tickets in your account. You must be logged into your Season Ticket Member account when making your donation to receive tickets. The digital tickets for the Invitational matches will be placed into your account by February 13th. The general public can purchase tickets by clicking the “Buy Tickets” link in the schedule below. All seating for both days will be general admission. 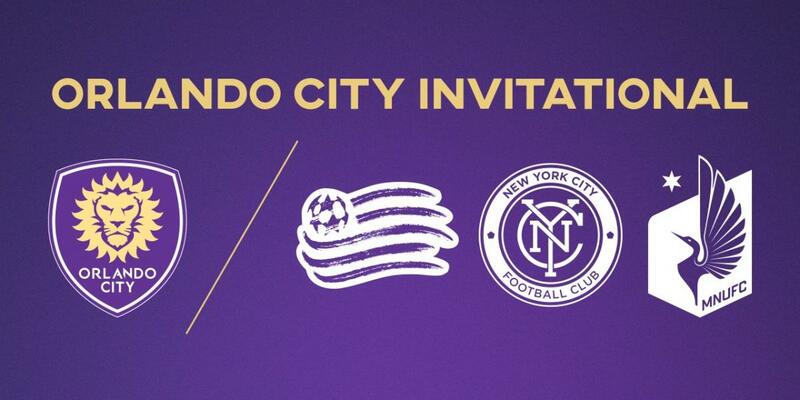 *Non-Season Ticket Members that donate through Account Manager will have their donation directed to the Orlando City Foundation, but will not receive match tickets to the Orlando City Invitational.